Fight against the signs of aging with the Juvéderm collection of injectable wrinkle fillers and volumizers. From treating lines and wrinkles to giving you full, plump lips and cheeks, Juvéderm dermal fillers at Adean Kingston, M.D., PLLC in Dallas, Texas provide beautiful, natural-looking results. Juvéderm injections can be used alone, together, or with other nonsurgical treatments to meet your needs and goals. Juvéderm injectables are made with synthetic hyaluronic acid (HA) that is designed to restore the skin's natural supply of HA and collagen for supple, healthy skin. Talk to dermatologist Dr. Adean Kingston about rejuvenating your appearance without the time and expense of surgery through the Juvéderm family of wrinkle treatments. Juvéderm Ultra XC and Volbella add volume to the upper lip, lower lip, or both and can improve the appearance of the vertical lines above and below the lips. Juvéderm Voluma adds to the dimension of the cheeks to correct flatness in the mid-face. Results can last up to two years. The ideal candidates for Juvéderm injectable wrinkle treatments are men or women who have facial lines and wrinkles they want to correct or volume loss in their lips or cheeks. Juvéderm dermal filler treatments at Adean Kingston, M.D., PLLC are great if you want to improve your facial appearance without the recovery time and expense of facial cosmetic surgery (like brow lifts, facelifts, eyelid lifts, or lip implants). Juvéderm injections, on average, only take about 15 – 30 minutes, depending on the number of areas being treated. Your face will be cleaned and to minimize discomfort during the treatment, a topical numbing agent will be applied. Additionally, Juvéderm fillers contain lidocaine (a local anesthetic) which help reduce any pain that you may experience during the procedure. After your treatment, you can resume your normal routine, but you should be careful to not firmly rub your face after your injections to avoid moving the filler into unintended areas. You should experience a noticeable improvement immediately after your Juvéderm treatment, but you may also see mild swelling or bruising in the treated areas for a few days. Depending on the formula, the results of Juvéderm can last up to two years. Talk to Dr. Kingston about when to book a touch-up or full treatment at Adean Kingston, M.D., PLLC to maintain your results. The price of Juvéderm will vary based on how much filler is necessary for the treatment area. Prior to your injection treatment, a customized treatment plan will be created to fit your aesthetic goals and budget. After this, Dr. Kingston can discuss cost estimates and payment options. Though most patients do not find it necessary, a local anesthetic can be applied to the treatment area prior to injection if you are worried about any pain. Following the treatment, you may experience some slight swelling and bruising that will usually subside within a few days, depending on the treatment area. You should contact our office if you experience any lasting pain or abnormal side effects after your Juvéderm treatment. 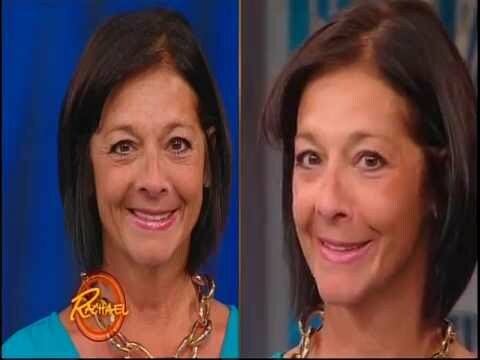 Relaxers and fillers address facial wrinkles but in different ways. Wrinkle relaxers, like BOTOX, work to smooth dynamic wrinkles caused by frequent muscle contractions. Juvéderm is an injectable wrinkle filler that corrects static wrinkles and adds volume. Juvéderm is ideal for treating mild to moderate wrinkles or to add volume to your lips and cheeks. It may take a few days to see the full results of your Juvéderm treatment. Typically, it only takes one treatment session to achieve your desired outcome. However, you can schedule a follow-up appointment if you would like to improve your results. To restore the youthful contours and smoothness of your face, schedule a consultation for Juvéderm injectable dermal fillers at Adean Kingston, M.D., PLLC in Dallas, Texas. Each of the Juvéderm formulas is designed to address the most common signs of aging, which enables Dr. Kingston to create a custom treatment plan that matches your unique concerns and goals.